Here at DVO I have two jobs, I write for the newsletter and I also put recipes into the system. When I’m entering recipes sometimes I’ll see that a recipe calls for “all-purpose flour” or “cake flour” or “self-rising flour.” Honestly, I don’t really know what the difference is between the types of flours. I’m sure a lot of you do know, but for those who are just as clueless and curious as I am, here’s a quick guide on the different types of flour and when you should use them. All this talk of flour makes me want to bake something, and with my new knowledge of flours I can! All-Purpose Flour: This is probably the most commonly used type of flour. It is made up of a combination of hard and soft wheat. The flour has iron and four B-vitamins added in to it to be equal to what is present in whole wheat flour. All-purpose flour is great for a wide range of things. It’s perfect for yeast breads, cakes, cookies and pastries. This flour is also known as just plain flour. Self-Rising Flour: This is similar to all-purpose flour except that it has salt and a leavening agent added. You can substitute this type of flour for all-purpose flour in a recipe by reducing the salt and baking powder in the proportions. Use this type of flour for biscuits, quick breads and sometimes cookies. It is not good for yeast breads. Bread Flour: You’d think by the name that this flour is ideal for breads, and you’d be correct! This type of flour is milled mainly for commercial baking use, but it can be found a grocery stores. It has a higher gluten content than some other flours so it’s optimal for making yeast breads. Cake Flour: Cake flour is made from soft wheat. It has a higher percentage of starch and lower protein content than bread flour so it’s better for making baked goods. It is ideal for things like cakes, cookies, crackers, quick breads and some pastries. If you don’t have any cake flour on hand you can make it by measuring 1 cup of all-purpose flour out and then removing 2 tablespoons of flour and replacing it with 2 tablespoons of cornstarch. Pastry Flour: Again, the name of this flour pretty much tells you what it’s used for. On a scale of flours this falls between all-purpose flour and cake flour. It’s usually made form soft wheat, which makes it perfect for making pastries, but can be used to make cookies, cakes, and crackers. 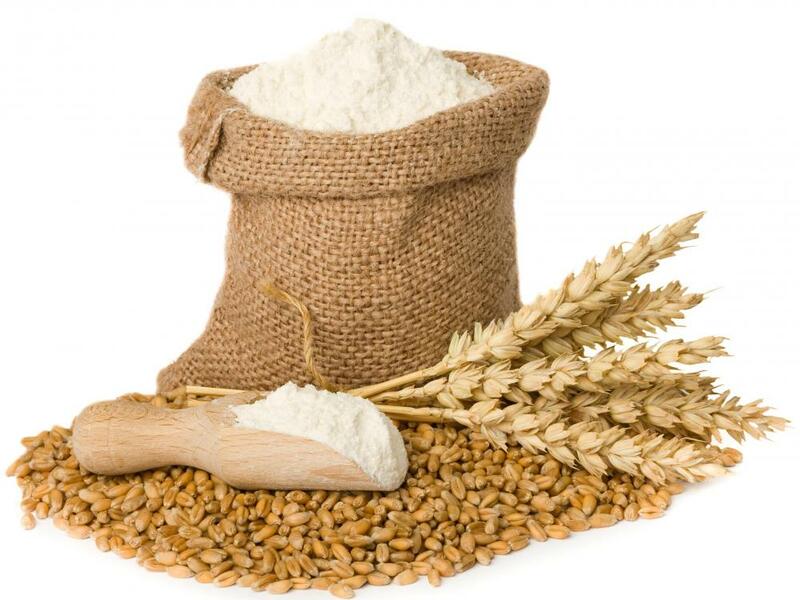 Whole Wheat Flour: Wheat flour is milled from the entire kernel of wheat. Because the presence of bran reduces the gluten development, things baked with whole wheat flour are heavier and denser. If you want to counteract this add one tablespoon of gluten per each cup of whole wheat flour used. Gluten Flour: This type of flour has a high protein content. It is primarily used to mix in with other non-wheat or low protein flours. Gluten improves the baking quality! Now that you have the types of flours and what they’re good for, there’s only one thing left to talk about: Sifting. Does sifting flour really do anything? The answer is..yes. From what I can gather, sifting flour aerates it and makes sure there are no big lumps or chunks in it. Aerated/sifted flour is easier to mix into recipes. If you are going to sift your flour be sure to do it before you measure it. You’ve got the types of flours and the answer to the age old question of sifting or no sifting, so now go bake something yummy! And when you do share the recipe with the rest of us!